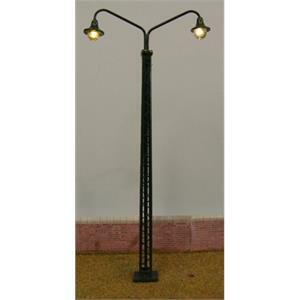 Description A 4mm scale double yard lamp with a lattice post. All metal construction. Finished in green paint. It has 2 Warm White LEDs. Overall height above baseboard is approx. 110mm. Supplied with a resistor for 12V DC.